Android Studio is the environment for developing Android apps. Is the official Android IDE. 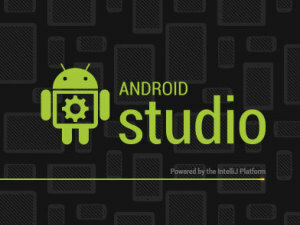 Download Android Studio from here. Unzip the archive and launch android-studio -> bin -> studio.exe file. 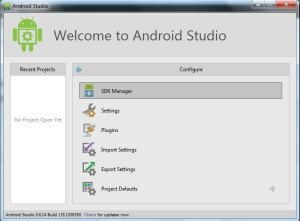 Follow the setup steps and install Android Studio and the SDK Tools. 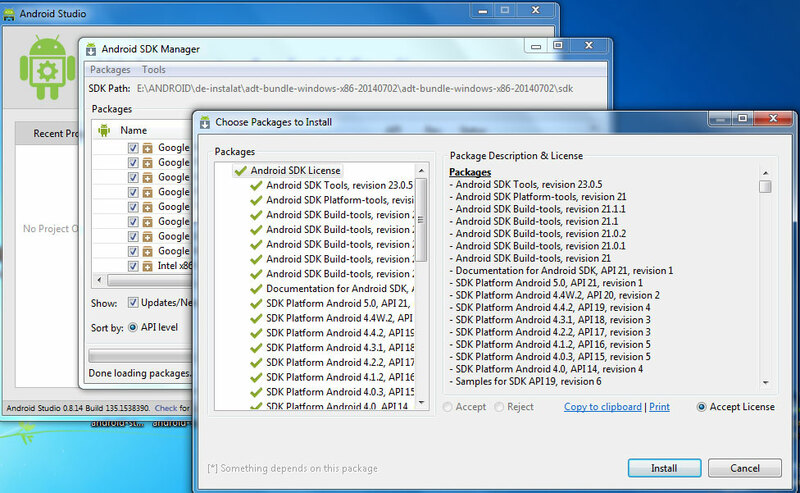 After installing we have to add SDK Packages to be able to start develop. In window opened from instalation, we choose Configure. And then click on SDK Manager. Check packages, accept the license and install. It may take a while but once it is over we can start to build Android applications. 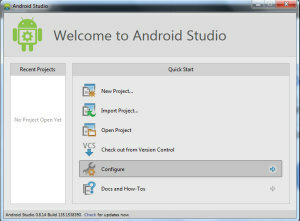 See in next tutorial how to create your first project in Android Studio.